Who owns the vehicle matters! You want your S-Corporation (S-Corp) to have a nice clean set of books, and the cleaner they are, the better. Corporate payments of personal expenses either dirty up the accounting or can create a strong impression of impropriety. 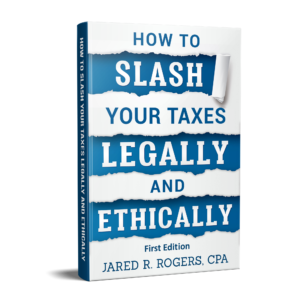 The IRS is attracted to things that look suspect, which is an even better reason for you to make sure your S-Corp has a clean set of books. So how does one go about deducting the expenses of a vehicle that is used by a S-Corp. Well, the answer depends largely on who the vehicle is titled to. Vehicle Titled In Corporation’s Name. Corporations, S-Corps, and Partnerships may only claim actual expenses for vehicles. Thus, your S-Corp may claim depreciation, fuel expenses, oil expenses, repairs, insurance, and so forth. But what about mileage? When the car is owned in the corporation’s name, it is not allowed to deduct mileage, just the actual expenses incurred for it’s use in business. Vehicle Titled Personally. To deduct the expenses of a vehicle that is owed personally by the business owner, the S-Corp can reimburse the employee expenses under an accountable plan or a non-accountable plan. The expenses are deductible under either methodology, but the rules are different. When an accountable plan is used, the business only reimburses expenses that are substantiated (proved) by receipts and other documentation. The reimbursements are not taxable income to the business owner nor are they reported on their W-2. What the owner needs to submit to the business depends on what expenses they will be reimbursed for. In this post about S-Corp Home Office Deductions, we provide a sample accountable plan that will give you an idea of the reimbursement language. Mileage Reimbursement. The business can reimburse at the IRS standard mileage rate. This rate includes allowances for depreciation (i.e. wear and tear), maintenance, repairs, gas, insurance, and a host of other things. The proof the business owner would need to provide for reimbursement would be a mileage log. This log would need to show the date, business purpose of the trip, miles driven and should be submitted to the business on a routine and timely fashion (e.g. once a month). One important thing to note is that the standard mileage method only applies to passenger vehicles with a gross weight of less than 6,000 pounds. Actual Expense Reimbursement. The business can also reimburse for the actual expenses the business owner incurs. The business does not have to reimburse for every expense, for example, you could reimburse gas and insurance and not tires and oil changes. However, for any expenses the business does reimburse, it must have adequate proof. Adequate proof means you need to see all the receipts for the expenses that will be covered. In addition to the expenses, the owner also needs to supply the total vehicle mileage for the year as well as the mile log. Why? So it can determine the number of business miles and the number of personal miles to compute the percentage of business use. This percentage is then applied to the total amount of expenses incurred to determine how much is reimbursed to the employee. If a non-accountable plan is used, then the business does not need to keep or see any vehicle records. They can reimburse any amount, from below the IRS standard rate, or above the IRS standard rate. They can reimburse for gas and insurance but not oil changes, or anything else that it wants to pay for (that is vehicle related). But under this method, all the reimbursements get included in the employee’s box 1 W-2 wages and are subject to income and employment tax withholding. The non-accountable plan is less beneficial to the employee because of the inclusion of the amounts on their W2 as income. This entry was posted in Tax Talk and tagged accountable plan agreement, Business Owned Automobile, Can an S Corp write off a car?, Can I claim car expenses on my business?, Can I depreciate a personal vehicle used for business?, Can my corporation pay my rent?, how to deduct home office expense for partnership, irs standard mileage rate, s corp automobile expenses, s corp car allowance, s corp car expenses, s corp vehicle depreciation, S-Corp Automobile Deduction, S-Corp home office deduction, s-corp vehicle ownership, sample accountable plan agreement, Tax Deductions for Personal Car Used for S Corporation Business, the auto expenses of an s corporation shareholder, where to deduct home office expense, where to deduct home office expense for s corp on January 20, 2019 by Administrator.